"Horse Racing", "Ohio", "racetrack gambling"
This post was written by staff member Katie Huddleston. The issue of allowing additional gambling at racetracks, usually in the form of slot machines, has been a hot topic in the equine industry since the recession that began last fall has lead to dramatic decreases in betting and earnings at such tracks. Janet Patton, Drop in wagering eats into Ky. Coffers, LEXINGTON HERALD LEADER, Sep. 22, 2009, available at http://www.kentucky.com/news/state/story/944936.html. Kentucky, home to the world's most renowned horse race, the Kentucky Derby, has yet to approve such racetrack gambling. Governor Steve Beshear called a special legislative session in June in an attempt to pass legislation that would allow slot machines to be added to the Kentucky racetracks: Churchill Downs (home of the Kentucky Derby), Keeneland Race Course and Turfway Park. However, the measure was unsuccessful. Now, neighboring Ohio is facing its own challenges in its attempt to institute video lottery terminals at equine racetracks. Monday, September 21, 2009, the Ohio Supreme Court put a freeze on the implementation of slots at the state racetracks after Gov. Ted Strickland had "authorized the machines by executive order" and the legislature had included the expected revenue in its budget. Julie Carr Smyth, Ohio high court ruling puts racetrack slots on hold, LEXINGTON HERALD LEADER, Sep. 22, 2009, available at http://www.kentucky.com/101/story/944935.html. This measure was the result of a suit brought by the developers of LetOhioVote.org. The group sued the Ohio Secretary of State for ignoring submitted petitions asking for the issue of racetrack slots to be included on the ballot in November of 2010. While the state argued that the slots revenue was "shielded from the referendum process" by reason of being an appropriation, the court disagreed. Id. The court ordered Secretary of State Jennifer Brunner to accept the petitions submitted by LetOhioVote.org, which requires the Secretary to put the question of racetrack slots on the ballot next year. According to the court's ruling, until such vote is held, the slots plan cannot be implemented. The Ohio Lottery Commission, the Governor and legislators were disappointed with the result, which they claim will result in a "nearly $1 billion shortfall" in the state budget. Id. The Supreme Court's decision could have wide-reaching implications on the issue of racetrack gambling across the country. In Kentucky, the decision may offer a reprieve. With betting at Kentucky racetracks falling as much as 17 percent last season, the added pressure of competing with Ohio tracks may be diminished by this delay in slot implementation. Janet Patton, Drop in wagering eats into Ky. Coffers, LEXINGTON HERALD LEADER, Sep. 22, 2009, available at http://www.kentucky.com/news/state/story/944936.html. The decision may also provide incentives for racetrack gambling opponents and proponents to consider seeking a referendum to finally decide the issue. 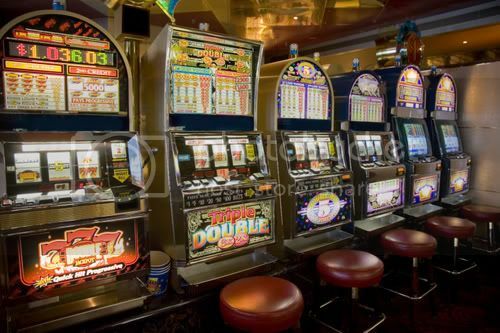 In the meantime, Indiana tracks will fill the void temporarily left by Ohio and Kentucky by implementing racetrack slot gambling this year, monopolizing the market for such gambling in the region, at least for the time being. Id. Older PostA Question of Ownership: Governmental Liability under CERCLA in U.S. v. Newmont USA Ltd.